RNY or VSG – Which Bariatric Surgery Type is the Right Choice? 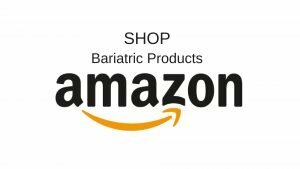 Home / articles / RNY or VSG – Which Bariatric Surgery Type is the Right Choice? Which surgery is best is a question that is not answered the same for everyone. Our doctors and surgeons tell us the pros and cons and make recommendations, but it is our decision to make and it’s a big one. Here is a terrific blog posts that lays out the main reasons people choose one surgery type over the other. I found good, detailed answer from a young woman named Megan who I met in one of the Facebook support groups. I’d love to hear more stories and reasons to help others struggling with their decision. Please drop us a note and tell us which surgery you chose and why. I am 5’2 HW 230, SW 190 and here is why I chose RNY (Gastric Bypass) over the Sleeve. I want the dumping syndrome to keep me in check. My goal weight is around 130 and sleeve did not have a good chance of getting me there bypass did. Now some people have told me that I’m not big enough for surgery, that bypass is overkill for me, that I could lose it on my own. All have been said to me but none of those people know ME, my history or my struggles. I am doing this for me. I am 28 and have very few positive situations or memories to look back on where I was happy with my weight. I want this to change the rest of my life in that I never again have to say I couldn’t do something because of my weight.